Clock tower, symbol of the city, this picturesque clock tower in Konak Meydan was built in 1901 to commemorate the 25th anniversary of Emperor Abdulhamit II's accession to the throne. The clock itself was a gift of Emperor Wilhelm II of Germany. Archeology museum with an extensive collection of artifacts from the Izmir region. Kadifekale (Mount Pagus): the fortifications built by the Byzantines and extended by the Ottomans at the summit of this small mount. This 4th century BC castle commands a bird's eye view of Izmir and is the perfect place to watch the sun set over the city. Departure Days : Please ask for private tours. Full day tour of Ephesus and House of Virgin Mary. House of the Virgin Mary - The Vatican has recognized this small house in the Solmissos Mountains as the final resting place of the Virgin Mary. A small shrine dedicated to St. Mary was found when the ruins of the house were first discovered. Lastly visited by Pope Benedict in his 2007 Turkey visit. What you see along the way: From Kusadasi, you travel north to St. John’s Basilica, passing the Byzantine fortress at Selcuk and the ruins of the Temple of Artemis. Continue to Ephesus Open Museum then up to the House of Virgin Mary located in Bulbul Mountain. After the visit head for the upper gate of Ephesus. By the end of touring Ephesus, return to Kusadasi. Available daily from 9:00 till 16:30. Pick up from Kusadasi hotels or from Kusadasi port if you are arriving with a cruise ship. Pick time depends on the location of your hotel, of which you will be informed after you make your reservation. 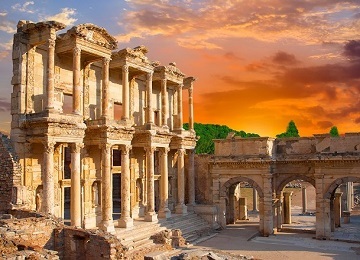 Private Ephesus and House of Virgin Mary Tour from Kusadasi. Experienced guides. Approximately 7 hours. Flexible pick up time. Pick up from hotels or from Kusadasi port if you are arriving with a cruise ship. Price: Please ask. 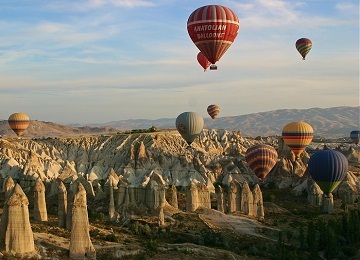 Per person prices for private tours highly depends on number of participants. Departures from Izmir / Izmir Airport: Please ask. Pergamum or Pergamon (Bergama in Turkish) was one of the most beautiful of the cities of ancient world that became an important kingdom during the Hellenistic period, under the Attalid dynasty, 281–133 BC. Its architecture and statues are among the finest samples of the Hellenistic world. Pergamon's library on the Acropolis (the ancient Library of Pergamum) is the second best in the ancient Greek civilization. The majestic acropolis looms behind the modern town is the first destination to visit the Temple of Trajan, Hellenistic barracks and tower, palaces, library, temple of Athena, theatre, temple of Dionysus, altar of Zeus. Asclepion was one of the most famous shrines and therapeutic centers in the ancient world. Departure days: Everyday in summer. Ask for winter period. Pick up: Pick time depends on the location of your hotel. Pick up from Kusadasi port is if you are arriving with a cruise ship at a convenient time. Pergamum Tour from Izmir: Please ask. 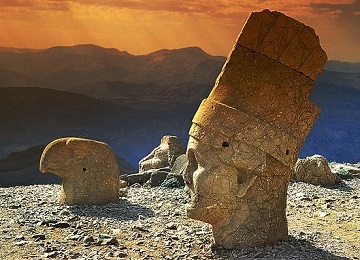 Private Pergamum Tour from Izmir / Kusadasi / Selcuk: Experienced private guides, transportation and flexible pick up time. Sardis was once capital of the ancient kingdom of Lydia and from the 7th to the mid-6th century B.C. was the world’s richest city. A good part of its wealth was coming from gold being washed down from the mountain by the river Pactolus, which the Lydian collected in sheep skins spread in the shallows, perhaps a source of the legend of the Golden Fleece. The most famous monument remaining from the ancient Sardis is the temple of Artemis. Equally impressive are the Roman gymnasium and baths from the 2nd century A.D. Also shops and a Synagogue complete the complex with the marble Court in the centre. There are no regular (group) tours of Sardis. Private tours are possible, prices will depending on total number of participants (roughly between 130 - 80 Euro pp for 2-5 pax). Ask for current prices. 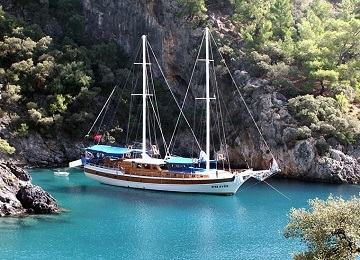 Private Sardis Tour from Kusadasi / Izmir: Experienced guides, flexible pick up time. Pick up from hotels or from Kusadasi port. 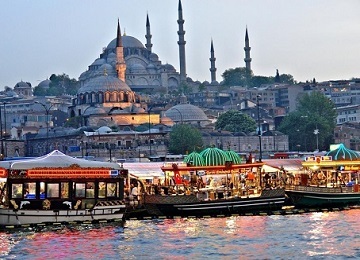 This tour covers 3 magnificent cities of ancient times, close to each other. Priene: Despite of its small size, Priene was a very important city in ancient times because on its territory stood the Panionium, the central meeting-place and sanctuary of the Ionian Confederacy. The theatre, the temple of Athena, the agora, the Bouleterion and the temenos of Zeus Olympus will be the steps of this visit. Miletus: Miletus was the principal port and the richest imperium at the Aegean coast. Thales of Miletus believed that there was a fundamental unity beneath the apparent disorder and complexity of nature and he postulated that water was the basic material for all things. The theater of Miletus is by far the most impressive of the town’s surviving monuments. There is also the council-chamber, marketplace, temples, baths and Islamic monument: Ilyas Bey Mosque to be visited. Didyma: Didyma was an ancient Ionian city, the modern Didim, Turkey. The town formed just outside of the sanctuary containing a temple and oracle of Apollo, the Didymaion. Didyma was a neighbor of Miletus. To approach it, visitors would follow the Sacred Way to Didyma. Both Herodotus and Pausanias dated the origins of the oracle at Didyma before the Ionian colonization of this coast. Price: 65 Euro for 1-3 participants, 60 Euro discounted price for 4 and more participants. PMD Tour from Izmir: Please ask. Private Version: Experienced guides, flexible pick up time. Pick up from hotels or from Kusadasi port. Departure days: Everyday, all seasons. 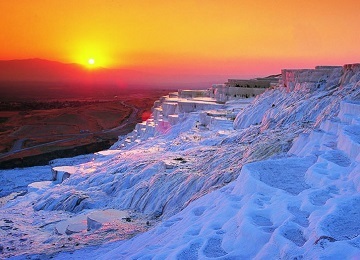 Pamukkale & Hierapolis Tour from Izmir: Please ask.